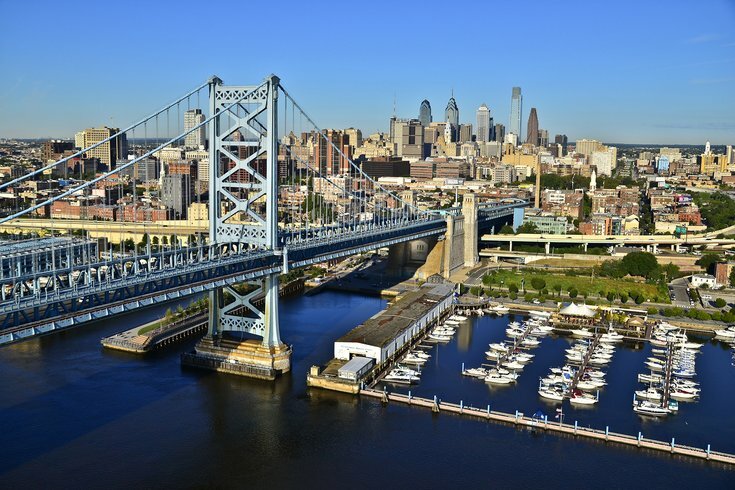 A 16-year-old girl is in stable condition after she reportedly took a plunge off the Ben Franklin Bridge and into the Delaware River on Monday, according to multiple news outlets. The incident occurred around 4:20 p.m. near the Independence Seaport Museum at Penn's Landing. There are differing reports on how the girl ended up in the water. NBC10 is reporting that she fell off the bridge, while Philly.com says she apparently jumped. There is no word on why she was on the bridge or if she was alone. The police marine unit plucked her from the water, and she was taken to Hahnemann University Hospital, where she was treated for hypothermia. No other injuries were reported.